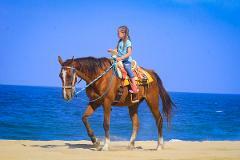 Enjoy a beautiful beach ride along the Pacific Ocean. Let the horses chase the water while having a relaxing time with family and friends. 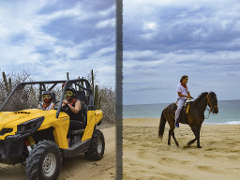 UTV and Horseback riding tours on one excursion. 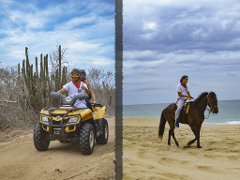 Come to explore Los Cabos; desert landscapes, sand dunes and mountains on an UTV and enjoy a beautiful ride on a horse along beach on the Pacific Ocean.